Just Jingle: Simon Says: Be Inspired! It's Wednesday and THAT means that we have another brand new and fabulous Simon Says Stamp Challenge for you! This time it's all about the inspiration! 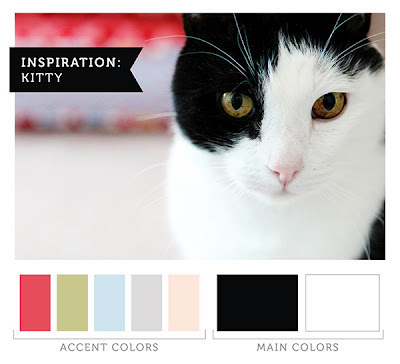 Kristina has given us a fabulous inspiration photo to jump start our creativity! LOVE the bold black and white with gentle touches of color! And the Simon Says Stamp Challenge DT is playing with Basic Grey goodies this week, so that makes it even MORE FUN! I pulled out the Basic Grey Konnichiwa 12x12 Collection kit for my card today. The colors worked so well with the inspiration and I really wanted to focus on the black and white, so I kept my background simple. *LOVE! * That wonderful sentiment is from the SRM Birthday Fancy Sentiments sheet. SRM stickers go down so beautifully on smooth cardstock! I love how they just melt right into the paper! Now it's your turn! 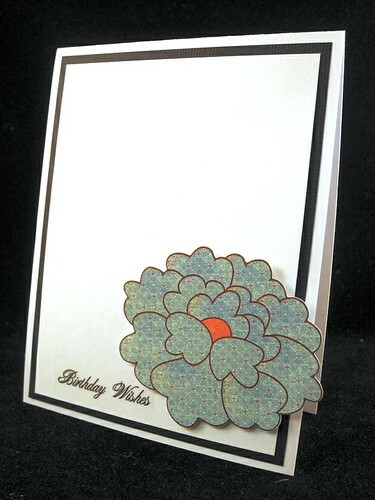 Create a card based on the inspiration photo and link it up to the Simon Says Stamp Challenge blog! 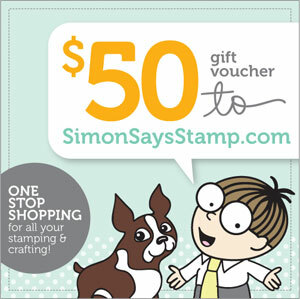 You could win a $50 voucher to the Simon Says Stamp Superstore! Yup! TOTALLY worth it!!! very nice!!! Love the colors! love this flower simply beautiful! Love that flower, front and center and the star of the show! Perfectly gorgeous in its simplicity, Jennifer! Love that big bold flower... with this design, it makes for a very dramatic focal point! LOVE it! CAS at it's ultimate best! Your card is fabulous, Jennifer! All your cards were just grand today but this one is my favorite. Love the impact that big paper pieced bloom has! Fabulous Jennifer, your flower is stunning - so much impact!!! Love the great clean lines with that wonderful flower! Gorgeous! 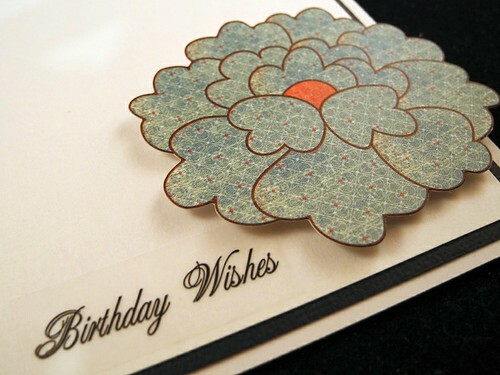 Love the simplicity of your card Jennifer so pretty! Hugs! Perfect CAS! Great take on the inspiration. Love your beautiful card Jennifer! That's a cool looking flower. Blessings! Shine On with the Tami Mayberry Blog Hop! Simon Says: Find a Beautiful Place and Get Lost! Thanks a Bunch for THAT Road Rage Adventure! A WHALE of a Challenge! Gourmet Rubber Stamps Recipe Time! All Smiles on This Fine Monday Morning! A Spoon Full of Sugar is Turning TWO! Stampendous! Is Wobbling AND Hopping! A Proper Push-Up in Pink! Party On with The Alley Way! Simon Says Stamp Challenge : Animal Antics! An Old School Invite to Fright, that's right! WOYWW - Not Much, Actually... Just say'n. How about a little PMS and a Butterfly? Be Inspired and Just Roll With It!